Located in Charleroi, Van Der Valk Hotel Charleroi Airport is in the business district, a 4-minute drive from European Flight Simulator and 9 minutes from City Hall of Charleroi. This 4-star hotel is 4.6 mi (7.4 km) from Stade Velodrome Gilly and 5.1 mi (8.3 km) from Rive Gauche. Satisfy your appetite at the hotel's restaurant, which features a bar and a garden view. Dining is also available at the coffee shop/café. Continental breakfasts are available daily from 4:00 AM to 9:30 AM for a fee. 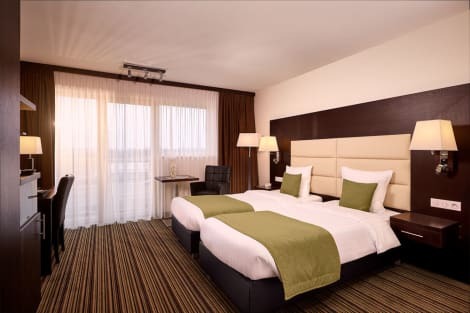 Within walking distance of the centre of Charleroi, with easy access to transport links that connect to Brussels, Paris and Frankfurt, the Leonardo Hotel Charleroi City is a well-equipped hotel catering to leisure and business travellers alike. After a busy day, tuck into dinner in the restaurant or unwind with a drink in the bar. Each room features en suite bathroom, free Wi-Fi, air-conditioning, coffee and tea maker and HD flat screen TV. The hotel also offers modern event spaces and catering. Quai Paul Verlaine 12 ( Ex :Quai de Flandre ) . 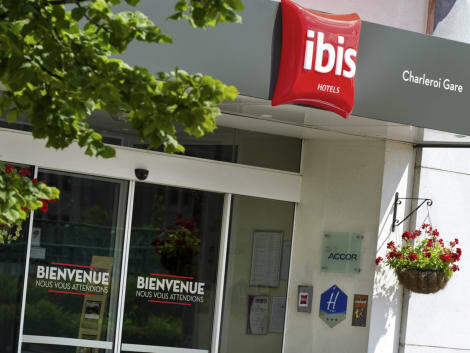 Put down your suitcase and relax at the ibis Charleroi Centre Gare hotel. Located in the heart of the comic book capital of Belgium, our hotel is easily accessible by public transport. We are 15 min from Brussels South Charleroi Airport via a direct bus route. The Stade du Pays de Charleroi stadium, Spiroudome arena and art galleries are a few minutes from the hotel. Feel at home with ibis. lastminute.com has a fantastic range of hotels in Charleroi, with everything from cheap hotels to luxurious five star accommodation available. We like to live up to our last minute name so remember you can book any one of our excellent Charleroi hotels up until midnight and stay the same night.